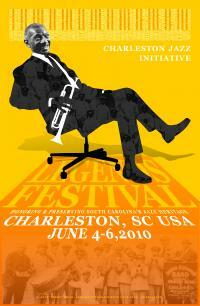 Over the years, the Charleston Jazz Initiative has produced a variety of events including concerts, symposia and conferences. Use the archives to the left to explore our past events. Current events are listed below. With a tendency toward self-effacement, McCray was an untiring advocate of jazz and helped create a “scene” in which local musicians could thrive. In recent years, he played a key role in establishing the Charleston Jazz Initiative, in partnership with College of Charleston arts management professor Karen Chandler. Legends, CJI’s first recording, features music from the early 20th century to 2010 that documents Charleston’s influence in the jazz performance traditions of many of this country’s big bandleaders, sidemen, and soloists. 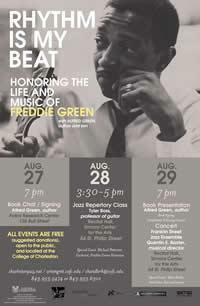 It marks the first CD recording of tunes composed, arranged or performed by musicians of Charleston and South Carolina’s rich jazz legacy.